Ex-AD chief wants Obasanjo, IBB, Jonathan probed – Royal Times of Nigeria. 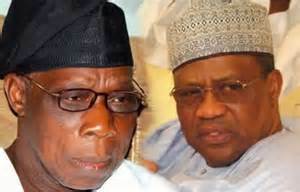 The National President of the Movement for Justice in Nigeria, Abdulkarim Dayyabu, yesterday in Kano, said the only way for the Federal Government to demonstrate its sincerity on the war against corruption is to urgently arrest and prosecute Obasanjo, IBB, Jonathan and other leaders. Dayyabu, who was also a former Chairman of the Alliance for Democracy, alleged during the Economic and Financial Crime Commission Africa Unite to Defeat Corruption Street walk on Wednesday claimed that there was still unrecovered $135bn looted money in the hands of these leaders that must be recovered. While commending President Buhari’s fight against corruption, Dayyabu said, if the $135bn is eventually recovered, it should be shared among the 150 million Nigerians, with each person getting $750. According to him, the move to share the recovered Abacha $350m is a welcome development but should include the collection of other monies from corrupt public officials, which should be quickly shared among the citizenry.